Below is a list of all the best minivans, SUVs and crossovers (that seat at least 7) that 2017 had to offer. Awards for each category of the 2017 models will be published below the table soon. 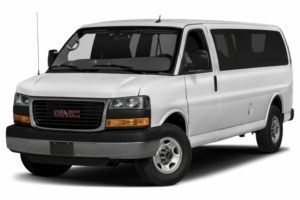 There are 57 different 7+ passenger vehicles offered by Chevrolet, Toyota, Ford other manufacturers, so we have collected all of the most important information to help you compare them. You can sort by price, interior size, head, leg and shoulder room in the 3rd row, fuel efficiency, the number of passengers, whether the seating comes standard or optional and an aggregate rating based on automotive critics’ reviews. To find out how we determine ratings, you can learn how we calculate them. 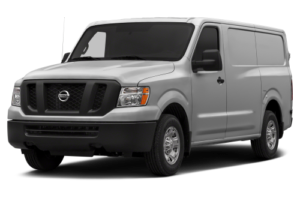 There are many options available to consumers looking to buy a mid-size vehicle with seating for seven. Narrowing down this dizzying list of cars to find the right commuter vehicle can be a hassle. To help find the right one to fit the busy commuter’s needs here is a list of ten vehicles that will fit the whole family. 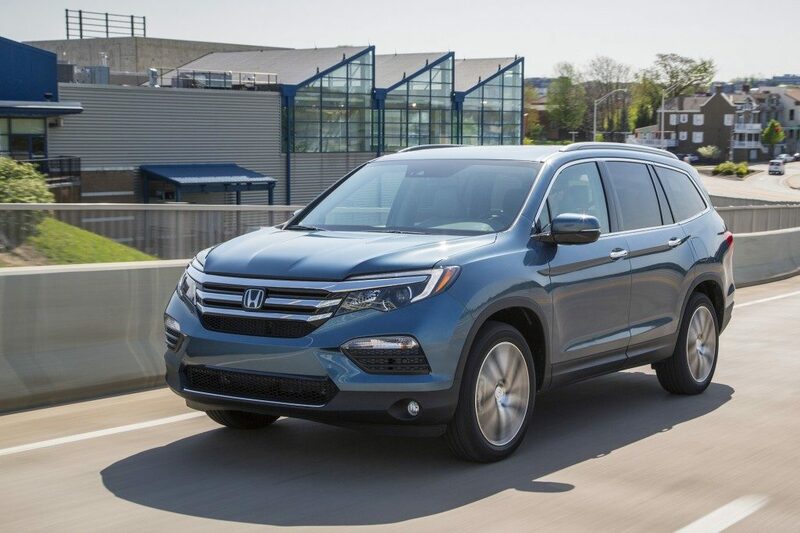 The Honda Pilot continues to be one of the best SUVs available on the market today, and while Honda hasn’t made significant changes to the Pilot for 2017, that’s not a bad thing. Minor tweaks to the interior are the highlight for this year’s Pilot, including more “soft touch” surfaces, giving the Pilot a bit of an upscale feel. 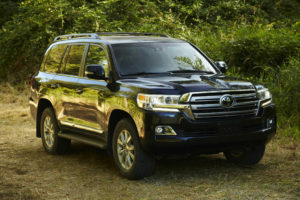 The Pilot comes standard with the same 3.5L V-6 as it did in 2016. It’s paired with a 6-speed automatic and more than adequate for daily driving or passing on the freeway. The Touring and Elite trims are mated to Honda’s new 9-speed automatic gearbox, and while it’s improved from last year’s version, it still suffers the same issues as 9-speed gearboxes from other manufacturers. Some of the shifts can feel shaky or be executed at times when they aren’t wanted. It’s still a functional gearbox, but most will prefer the 6-speed. For a mid-size three row SUV, the Pilot has a surprising amount of space in the third row. 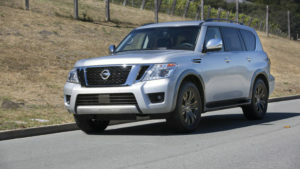 The Pilot will comfortably seat seven adults, though the third row shouldn’t be used by larger adults for long trips. 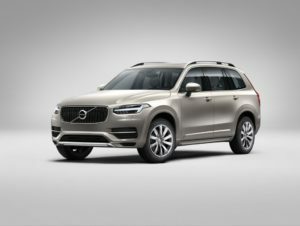 A long list of optional safety features include all the tech trimmings like blind spot monitoring, lane-watch cameras, forward collision warnings, and a rear-view camera. It’s also earned another Top Safety Pick+ from the IIHS for 2017. 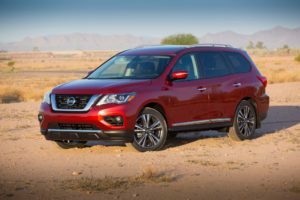 Nissan’s mid-size SUV, the Nissan Rogue, is the slightly smaller sibling to the Pathfinder. Aimed at providing a reliable family commuter without a huge fuel appetite, the 2017 Rogue succeeds at creating a versatile SUV that will seat seven. 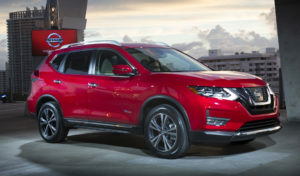 Lighter on power than its competitors, the Nissan Rogue uses a 2.5L 4-cylinder coupled with a CVT transmission. It’s available in both FWD and AWD configurations. It doesn’t produce a tremendous amount of power, but thanks to the Rogue’s small size it’s enough for daily driving. The benefit here comes in fuel efficiency, and the Rogue boasts an impressive 29 combined mpg in the standard FWD configuration. That’s an impressively high number when hybrid SUVs in its class just barely reach above the 30 mpg mark. The interior of the Rogue is about what’s expected of an SUV of this price. It doesn’t feel cheap, but it’s far from the realm of luxury. Thankfully, Nissan placed quality where it mattered, and the first and second row seats in the Rogue are perfectly comfortable. The second row can be slid forward and backwards for adjustable rear seat leg room, and with the right attention to detail can fit seven adults. The third row still isn’t ideal for long trips, but will work fine on shorter journeys. 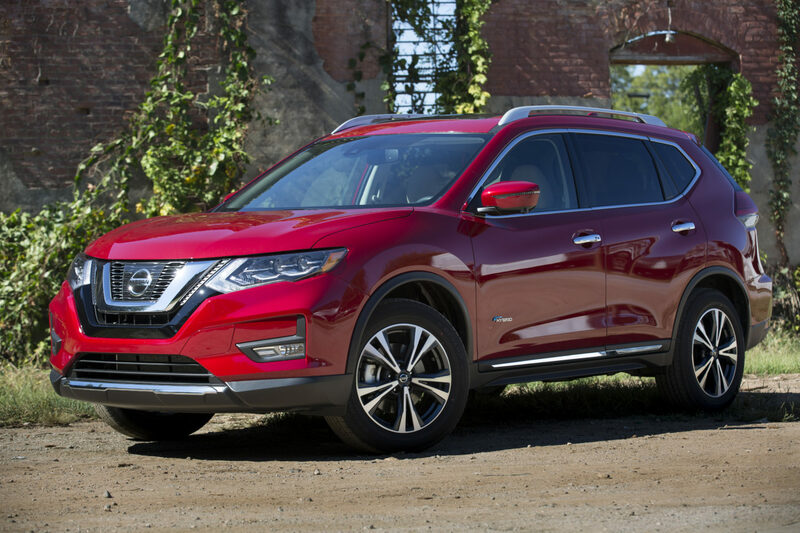 Finally, the Rogue once again gets a nod from the IIHS, this time as a Top Safety Pick+. For 2017, Kia has made some much-needed interior upgrades to the Sorento, producing a compact SUV that looks and feels better than it ever has. 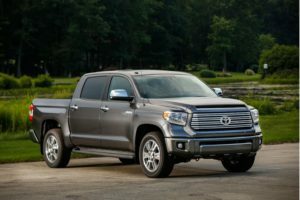 It represents incredible value for the money, and while the standard trim’s equipment isn’t going to blow anyone away, it has all the utility and function needed to make a well-rounded vehicle. 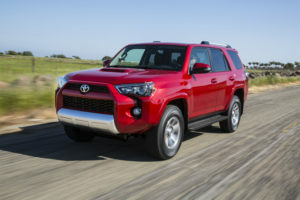 When selected with AWD and either the V-6 or turbocharged engine option, it will even handle light off-roading thanks to a decent ground clearance. The small but peppy 2.4L 4-cylinder engine produces just 185-hp and is coupled with a 6-speed automatic gearbox. It does feel a bit light on power, but Kia provides a much better choice in the form of a 2.0L turbocharged 4-cylinder. 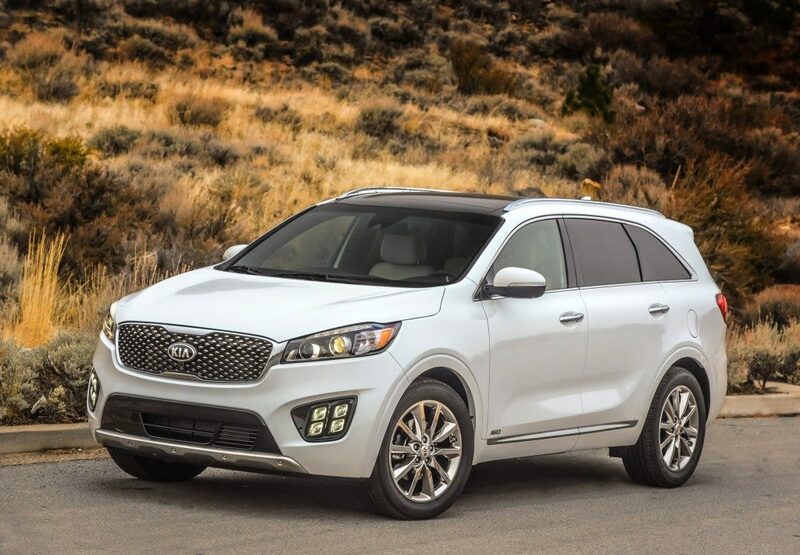 Not only does the turbocharged engine boost the Sorento’s output by 55-hp, it gets almost the same gas mileage. 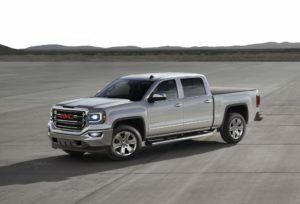 The standard engine is rated at 24 combined mpg, with the turbocharged 2.0L getting 23. It feels much better even when under load, and is the clear winner of the three Sorento engine options. The Sorento is not a large SUV, and the addition of the third row puts a heft dent in the vehicle’s available cargo space. The second row seats are not all that stellar, and oddly enough, if passengers can fit in the third row they may find that more comfortable. Both rows are certainly usable for short trips, but don’t expect to be filling the car with adults for long road-trips anytime soon. As an additional credit to the Sorento’s value, it earned a Top Safety Pick from the IIHS this year. 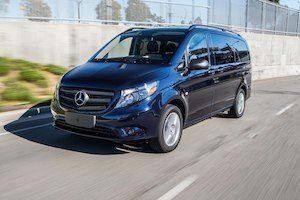 Sometimes an SUV just won’t cut it when it comes to hauling precious people cargo, and a top-notch minivan is needed instead. 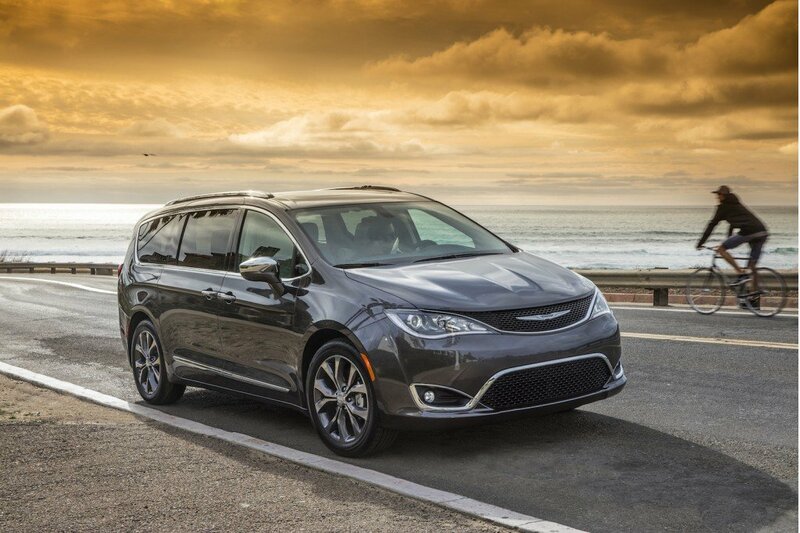 The Chrysler Pacifica intends to fill this role, eventually slated to replace the again Dodge Grand Caravan. Those are big shoes to fill, and the Pacifica comes out swinging for 2017, placing a modern take on the classic minivan that’s sure to impress. The only engine option in the Pacifica is a large 3.6L V-6 that cranks out 287-hp. It uses a 9-speed automatic gearbox, and is one of the few iterations of that new design that works well on the road. This V-6 includes automatic stop/start for city driving, and helps the Pacifica nail down an impressive 22 combined mpg rating. 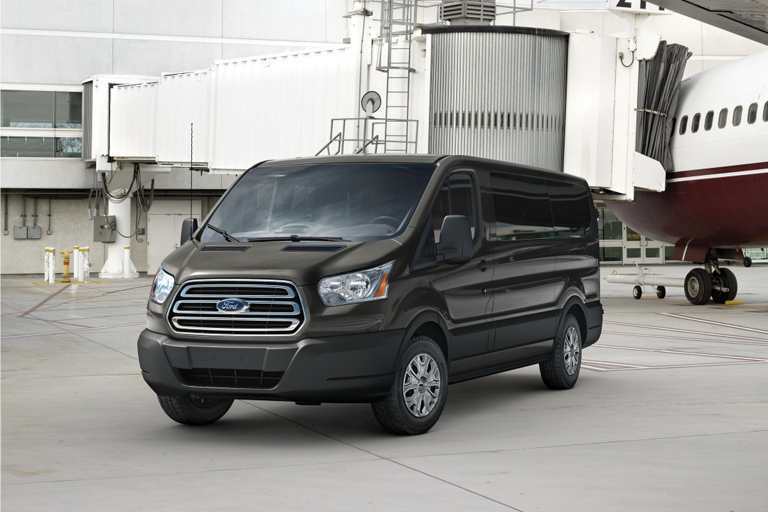 It handles in a way that belies its large size, and gives passengers the kind of comfortable ride they’d expect from a proper people carrier. There is plenty of space for both people and cargo inside the Pacifica. Adults of any size will find the third row just as comfortable as the first, and everyone from the front to the back gets a nice overhead view via two moon roofs over the first two rows, and a fixed panel one over the third row. 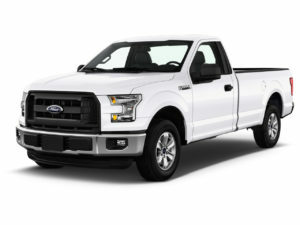 For those seeking to haul cargo, both the first and second rows fold away completely, providing hauling space that rivals much larger SUVs and pickups. 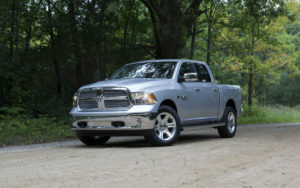 It also manages to get the IIHS’ Top Safety Pick+. 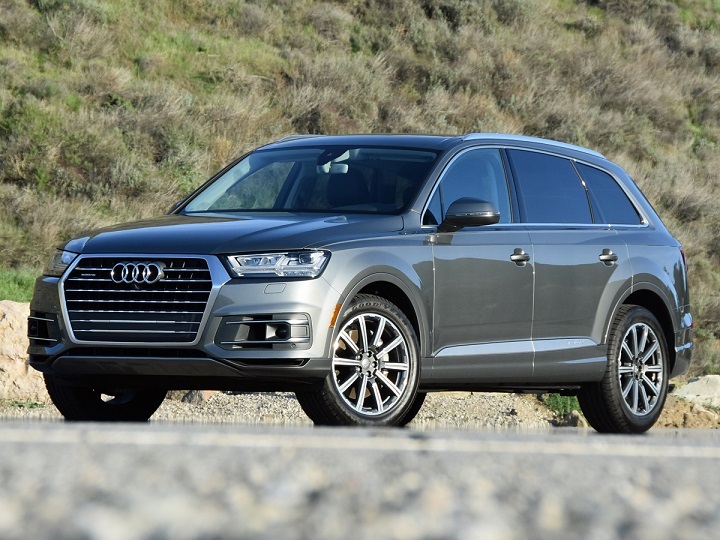 A direct competitor to the BMW X5, the Audi Q7 brings luxury and speed to the SUV class. 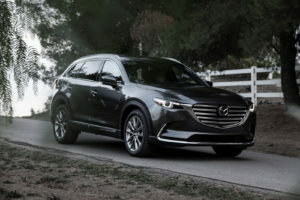 It’s shed a significant amount of weight from last year, resulting in a lighter, faster, and better handling sport SUV designed as a driver’s enthusiast SUV that also fits into the role of daily family commuter. The Q7’s supercharged 3.0L V-6 produces 333-hp and is coupled with an 8-speed automatic transmission with Tiptronic manual selection. As with all Audi SUVs, it has an AWD drivetrain. The weight reduction from last year’s model is noticeable; the Q7 handles better than it ever has, with a silky smooth ride and excellent feedback from the tires present in the steering wheel. 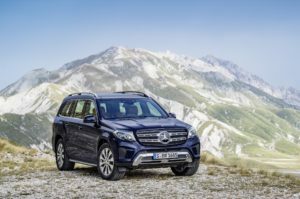 All this adds up to one of the best SUV driving experiences available in a luxury model. The glaring downside would be in third row space. It’s a bit cramped in the third row and should be reserved for small children. Fortunately, the first and second rows are lavishly comfortable, and Audi offers all the bells and whistles to accommodate both drivers and passengers desire for gadgetry. Multiple USB plug-ins and a long list of safety equipment complete the list of technology based toys and safety features present on the Q7. This is a driver’s SUV first and luxury SUV second, but it’s no surprise that Audi doesn’t compromise on interior comfort and quality. 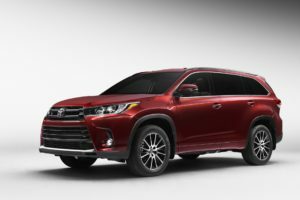 Toyota’s Highlander Hybrid SUV is back for 2017, with an improved transmission and an even better engine. 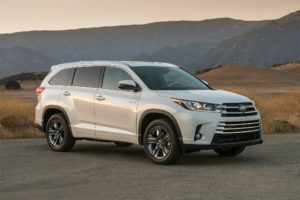 The Highlander chassis is already a top-notch SUV, and the addition of a hybrid-electric engine allows the Highlander to compete with much more expensive offerings from other hybrid manufacturers. It’s one of the least expensive Hybrid SUV options, but still does everything pricier hybrid SUVs do, and it’s all wrapped in the comfortable Highlander package. This year’s Highlander Hybrid is powered by an all new 270-hp 3.5L V-6 paired to a shiny new 8-speed automatic gearbox. Two additional electric motors help power the hybrid-electric drive and bring the Highlander’s maximum horsepower up to 306. Thanks to the Highlander’s large chassis, there’s plenty of interior space and a usable third row. It’s not going to be overly comfortable in the way-back for long trips, but it will keep passengers moderately comfortable for quick drives. The first and second row seats are both more than acceptable, however, providing their passengers with enough leg and headroom for longer journeys. 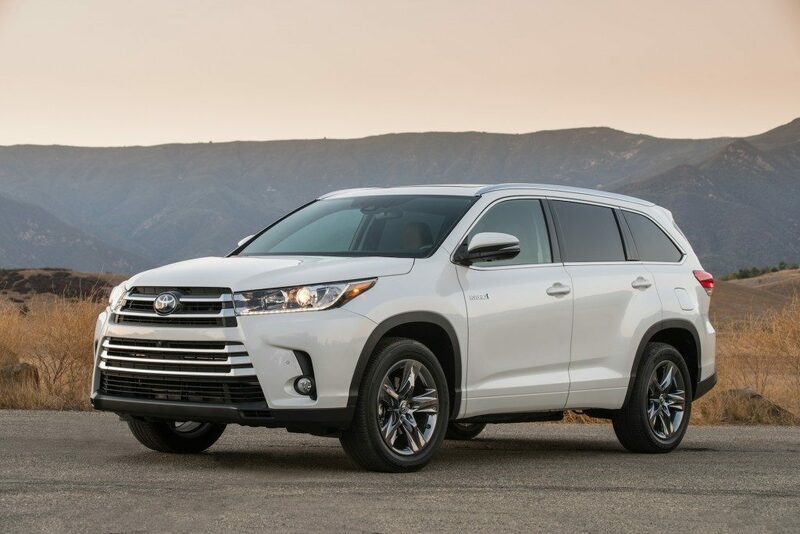 Pair this with a smooth and quiet drive, and the Highlander Hybrid makes an excellent hybrid-electric family vehicle. 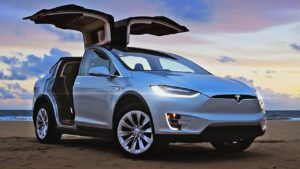 Tesla’s line of fully electric vehicles was extended to include the Model X in 2016, bringing a purpose built SUV to the companies lineup. 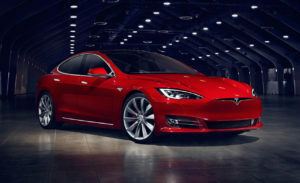 It’s a larger, more versatile Model S, with more room for passengers and cargo, intended for buyers interested in the additional capacity an SUV provides. 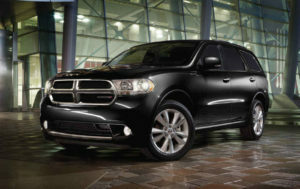 In its highest trim, it’s the fastest SUV on this list, and even the base model is sports car quick. The electric-drive motor gives the Tesla Model X 75D a 0-60 time of just six seconds. The blazing fast P100D model is rated for 762-hp and a 0-60 of under three seconds. That’s mind boggling quick for an SUV, but with a price tag to match. The highest trim will run over $100,000 without skipping a beat. Thanks to the fully electric drive, the Model X has only one gear, with maximum torque provided throughout the range. This equates to on-demand power all the time. The vehicles’ standard AWD system helps to ensure that even when taking full advantage of the Model X’s ludicrous power, drivers will stay firmly planted on the road. Fortunately, even the base Model X is loaded with standard features. A massive 17-inch touchscreen control panel dominates the center dash and controls the X’s extensive safety and entertainment features. Auto-pilot comes standard, as do a long list of technology based safety features like blind-spot monitoring and lane-keep assist. The 7-seat option comes with a bench second row, and while the two window seats are very comfortable in this configuration, there is a lack of headroom in the center seat, thanks to the motor for the rear doors. The third row is small and best reserved for children. Acura’s luxury SUV model, the MDX, has been a strong contender in its class for several years. 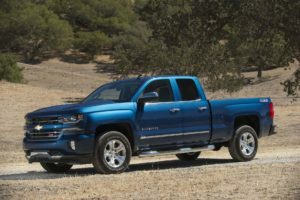 That trend will likely continue for the 2017 model year, with minor changes to the vehicles suspension to improve handling and provide a more smooth driving experience. The addition of standard safety equipment like the AcuraWatch system rounds out the changes made from last year. The base model MDX engine is a 3.5L V-6 that makes 290-hp and is paired with a new 9-speed automatic gearbox. As with most of these increasingly popular 9-speed gearboxes, this one isn’t ideal, but it does perform adequately well in most driving scenarios. Daily commuters are unlikely to find many faults in its performance. The 3.5L V-6 can be selected with an AWD or a FWD powertrain, but the AWD option is the obvious winner for the MDX. With the changes made to the Acura’s handling and ride characteristics, the AWD system handles itself better on the road, with only a minor trade-off in fuel efficiency when compared to the FWD models. 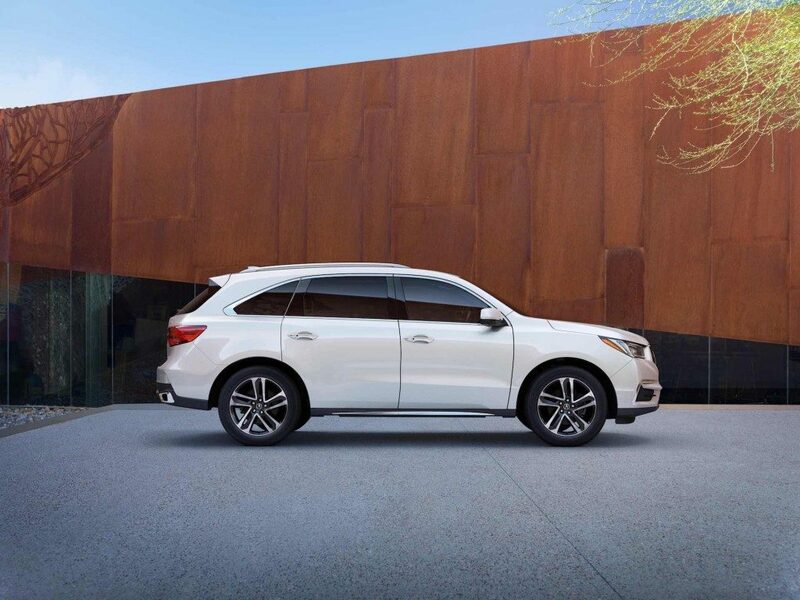 First and foremost, the MDX is a luxury SUV, and Acura has delivered on that purpose. First and second row seating are equally comfortable and will comfortably seat four adults without issue. The third row isn’t too shabby either, but it can be difficult to access for larger adults. The MDX has again earned a Top Safety Pick+ nod from the IIHS for 2017. The 2017 Honda Odyssey is a minivan that places its focus on function and practicality over luxury. At its base model price its a fantastic deal for those seeking a minivan to fill their transportation needs, with Honda’s emphasis on utility providing everything needed to make an efficient family vehicle. 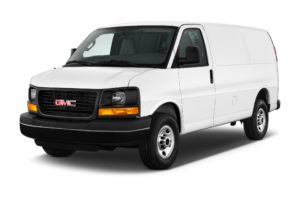 That being said, it’s sparsely equipped in its lowest trim, and higher trims quickly run away from the base models low price. The same 3.5L V-6 engine carries over from 2016, giving the Odyssey 248-hp and a solid 22 mpg. This engine is mated to the same 6-speed gear box as last year. 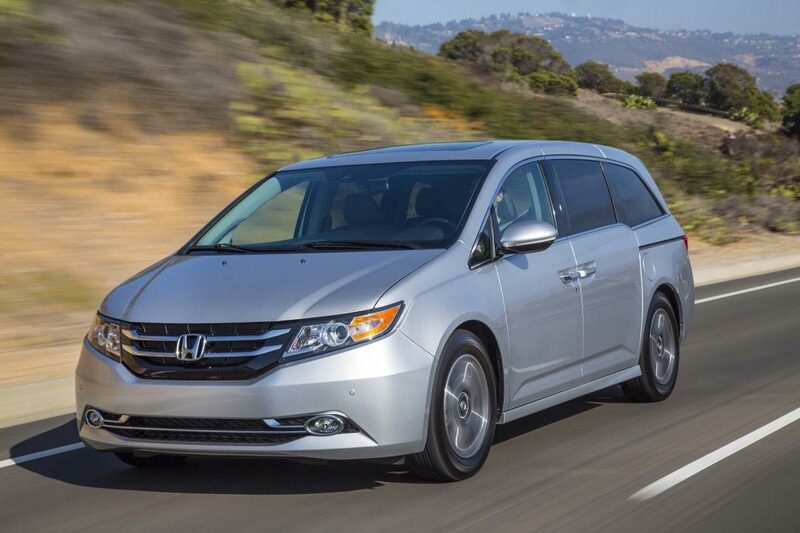 Paired with the Odyssey’s only drivetrain option, FWD, the Odyssey is adequately quick. 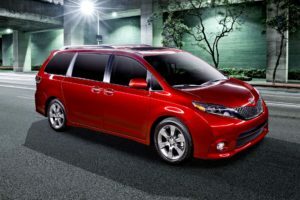 Driving it isn’t particularly exciting, but passengers will be comfy thanks to the Odyssey’s fantastic suspension. Inside, the Odyssey will comfortably seat 7 adults, with lots of leg and headroom in all thee rows. 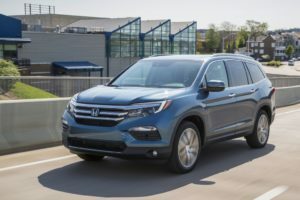 The first and second rows are particularly comfortable, and Honda provides a long list of optional entertainment features to keep passengers happy on long trips. Don’t take Honda’s focus on function to mean the Honda isn’t comfortable in all the right places, because there’s plenty to like in the Odyssey’s interior. Safety data isn’t yet available for 2017, but it’s the same chassis as the 2016 model, so expect it to get an IIHS Top Safety Pick. A direct competitor to the Audi Q7, BMW’s X5 aims to bring the sports coupe driving experience to the SUV market, and does so in spectacular fashion. Even the base model comes ready to tear down streets and through corners, with bigger and more powerful engine options in higher trims. 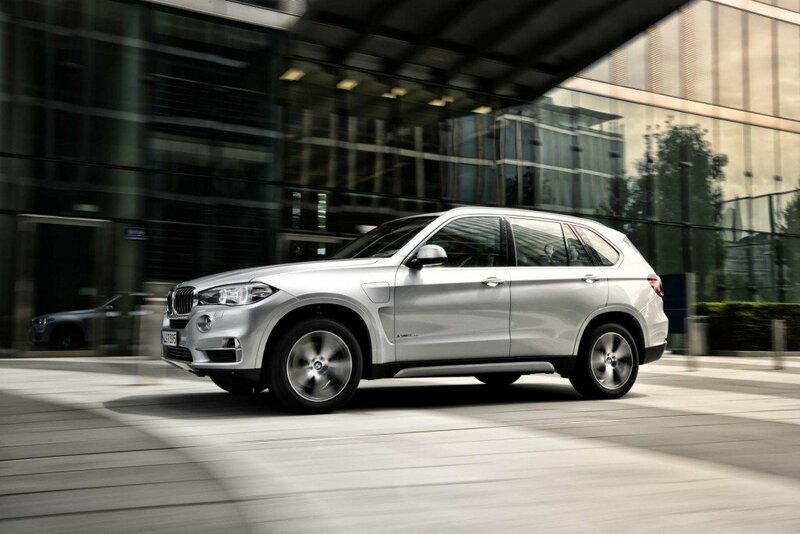 It’s still very much a luxury SUV, and all the comfort and convenience is still present in the X5. The base model X5 has a turbocharged 3.0L inline-6 that creates 300-hp and is available in both AWD and RWD models. The top of the range is a growling 4.4L turbocharged V-8 rated at 445-hp. Both engines are mated to an 8-speed automatic transmission, and the base engine gets around 20 mpg. Consumers solely interested in the pursuit of speed can spring for the M model, which boasts an even more powerful V-8. The X5 doesn’t just handle like a sports car, it feels like one too, with useful tire feedback and that signature BMW grip being transmitted from the road to the drivers hands. Passengers will lounge happily with BMW’s expertly tuned suspension even on rough roads. The third row in the X5 is, unsurprisingly, not fantastic. Like many SUVs in its class, the X5’s rear seats just don’t have enough space to make them lavishly comfortable. They will work for very short trips or for children, but adults had best stick to the front rows. Thankfully, the first and second row are wonderful, providing equal comfort in all four seats. There are, of course, a long and expensive list of available extras to select for the X5, including additional safety equipment and entertainment packages. Modern passenger vehicles can be as sleek, sophisticated and luxurious as some high-end vehicles while still being as practical as ever. 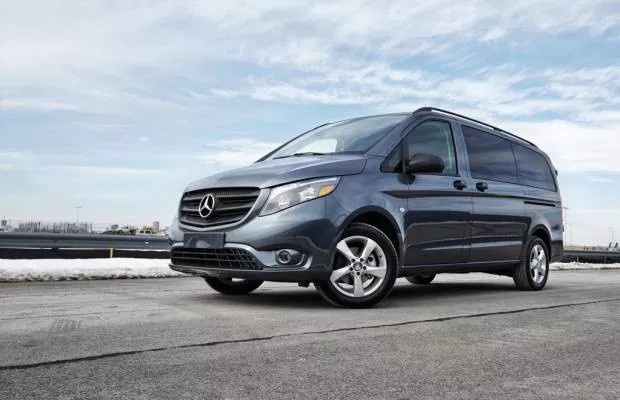 Families and large groups can comfortably sit 7 or 8 with a third row without sacrificing interior or exterior style, performance or having the latest and most advanced features available. Some of these don’t seat 7, like the Rogue. It seems a lot of these list for 7+ seating feature cars that don’t seat 7. Anyone know where there is a complete, reliable, and accurate one? Hey Jamie, thanks for your feedback and for pointing out that the Rogue was listed as 7 standard instead of 7 optional as it should have been. I have corrected this mistake. The easiest way to find vehicles that come standard with seating for 7+ is to look for “std” (standard) in the “Seats” column of the table. If you notice any other errors in the list, please let me know and they will be corrected immediately! My goal is to keep this the most complete & up-to-date list online.